If you are looking for an INFINITI, this is the place to go. They are very easy to work with and very transparent with their pricing. It is obvious that they want to find the right car for you at the right price. Kevin Benavides is a great communicator, very responsive and easy to work with. This is by and far the best dealership I have ever worked with. Kevin went above and beyond. He set it up so we could see a new car on Sunday. He was always a top notch pro when communicating.. This dealership is one to be commended the entire experience was amazing. Mike Korallus, Kevin Benavides, Sean Pelkey, and Jacob Starke made sure no matter what I was happy with my purchase. Everyone worked so diligently, with so much professionalim. Buying a car can be a very nerve wracking process. However, in this situation I walked out feeling better than I walked in. Highly recommend these wonderful gentlemen for your car buying experience. Mike Swanson was exceptional in assuring my questions were answered, transparent in the costs and services, diligent on assuring the minor changes required were taken care of, including delivering the car after the minor items were addressed. The signature and title process were amazing, utilizing technology that allowed both parties to read the document together, sign and correct as necessary. 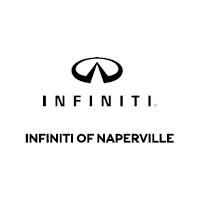 I’d highly recommend INFINITI of Naperville and Mike Swanson.